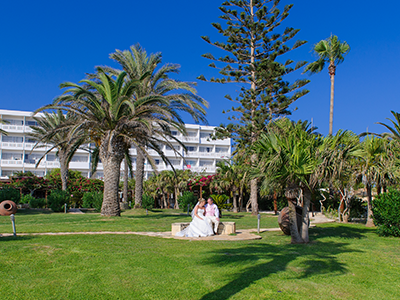 Nissi Beach is one of the most popular places in the whole of Europe for people to get married. What makes it so special is the vast amount of top quality hotels, wedding venues and wedding planners as well as luxury villas and apartments for guests to stay in which are often a fraction of the hotel price. Private villas are cheaper than staying in a hotel. 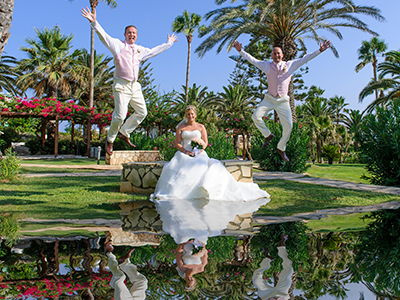 If you are thinking about having a wedding in Cyprus and in particular in the Nissi Beach area why not drop us a line or give us a call and we'll be happy to discuss your parties requirements. Since we have great links with other villa and apartment owners we can take the stress out of organising this part of your special day.